Sales and marketing departments together are traditionally the core of every business determining its development, growth and financial performance; it is crucial to create a consistent communication and knowledge share between them. While the sales department is the first to adopt customer relationship management system (CRM) to ensure pipeline tracking, it doesn’t pull out all the stops of what can be done with CRM from a marketing perspective to get the most out of CRM and marketing automation software integration. CRM and marketing integration can definitely become a really powerful tool tightening relations between sales and marketing and enabling sales reps not only track their progress in regards of sales pipeline, but also gain an advantage of lead scoring and audience segmentation, while marketers are enabled to estimate conversion of their marketing efforts to opportunities, aligning leads with sales. 1. Data cleaning and backup necessity. Company data is one of the most valuable business assets, and this is a number one priority for every company to guarantee its safety. Make sure you don’t forget about creating backups of the data used by both CRM and marketing software. Additionally, you need to double check that the data you have in marketing software is properly refreshed and updated to be correctly and seamlessly synchronized with the desired records in the CRM. You should try keeping things simple and synchronize the data between two systems that will be actually used by both sales and marketing teams. The more the customer profile is overloaded with data, the more complicated the integration will occur. Quite a few companies do really need complex lead management process with dozens of branches, or multifaceted scoring, or marketing attributions models. You need to evaluate, which of the data available in the system is actually being used for decision-making or may have an influence on business results, leaving all the extra things aside. Understanding the way and the goals of using CRM by the end users – seriously, the reasons to start using the new system may not be obvious for the end users. Moreover, most people experience difficulties when changes occur and their comfort zone is disturbed. Refine collaboration within marketing and sales departments. Among the most crucial steps on the way of CRM and marketing automation software integration is to ensure that both of these departments have a solid understanding of the key steps they need to be executed and correspond their activities to achieve the overall objectives. Marketing and sales should cooperate at every level corresponding their activities in regards of strategy, tactics and operational details. From this perspective, it becomes crucial to define the data that will be synchronized within sales and marketing extended system. For example, customer’s date of birth or current marital status tracked in CRM may not be used in marketing automation system. You should keep in view that the more custom fields you create, the more complicated and difficult to navigate the system will be, so try to keep it simple. 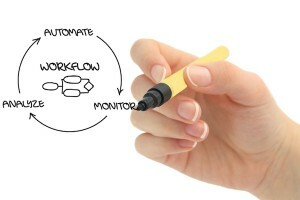 Automate lead processing and sales handoff. Innovative CRM and marketing automation solutions allow users to automate daily routine operations playing a significant role in demand generation, lead nurturing and sales automation. The system suggests the next best step the user should take to achieve the goals and maximize results. For instance, you need to automate the process of lead management in your company, empowering it with business intelligence to suggest the best next step to the manager, increasing the probability of successful conversion from one sales pipeline stage to another. Moreover, some of these solutions, for instance, bpm’online CRM for sales and marketing automation, provide users with out-of-the-box processes automating some of the most important operations according to the best practices that industry has to offer. Experts say that 49% of CRM end users admit that their corporate loyalty in a great measure depends on their ability to provide feedback and suggestions for improvements, and what is important – seeing this feedback applied. So after integrating CRM and marketing automation systems and enabling employees to use it in everyday work, schedule some time to meet with them and ask how the solutions is working for them and what enhancements they suggest to be done in order to improve the tool’s performance.